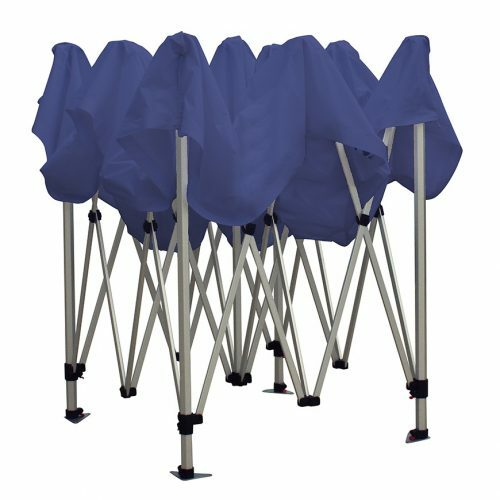 Outdoor display stands are heavy duty and weatherproof. They are guaranteed to market your brand to the highest quality, regardless of the weather. 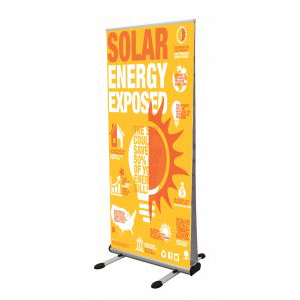 Outdoor displays are perfect for outdoor advertising and large format promotion because of their size and rigidity. The durability and sturdiness of our outdoor exhibition range does not compromise the effortless assembly and easy transportation of our products. 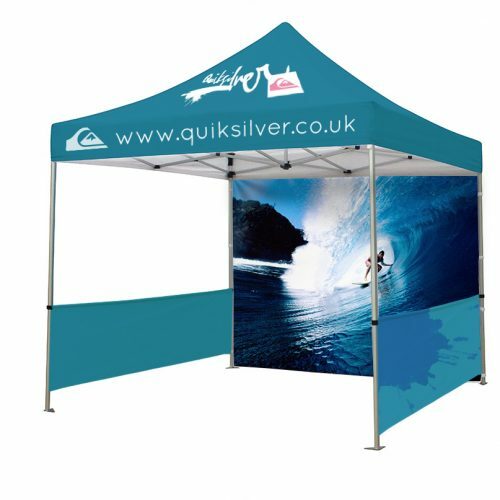 From queue barriers to event tents and PVC banners, we supply the UK’s largest range of outdoor displays that will help your business to reach it’s full potential without the hassle of worrying about adverse weather conditions. Give your business maximum brand exposure, no matter what the elements may throw at you. 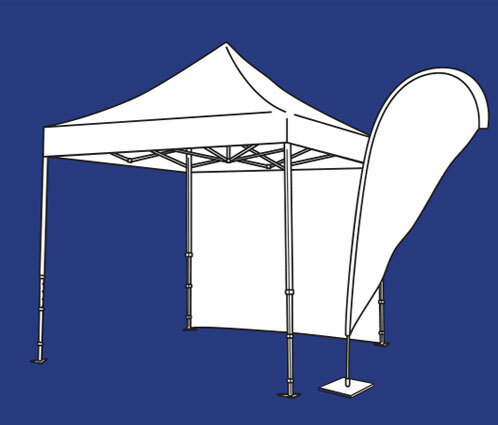 Shelter your business from the sun and protect it from the rain with a fully branded gazebo. 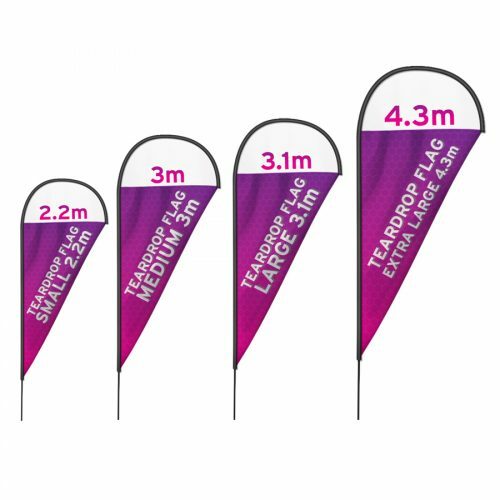 Promotional flags provide height and visibility to your brand for effective outdoor marketing. We have a wide range of sizes and styles available, with a simple three-step ordering process. 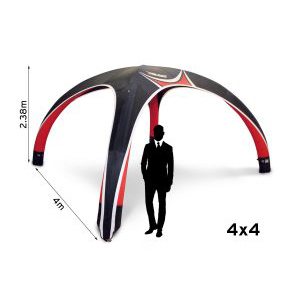 Signus Inflatable Event Tents use premium Dutch engineering to provide unrivalled brand promotion at outdoor events. 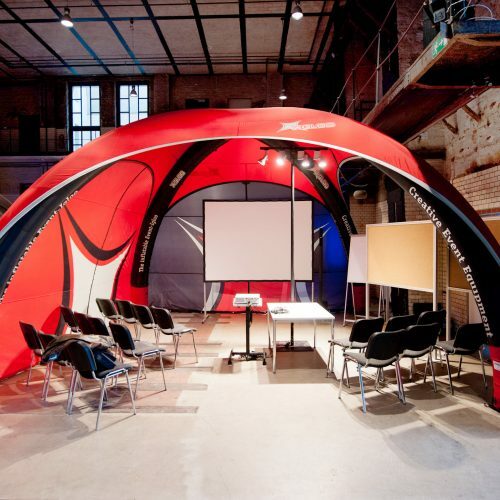 Comprised of three graphic areas, the Signus ONE is a unique and high impact inflatable exhibition display solution. Get your business noticed in the streets and make clients aware of what you have to offer with a versatile pavement sign. Organise your business and direct customers easily and effortlessly with a queue barrier. A collection of weather-resistant exhibition banners designed to give you maximum brand exposure, even in bad weather. 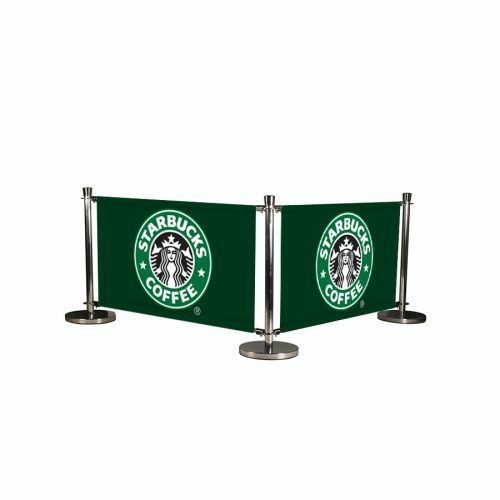 Extend your business outside and give your customers an al-fresco experience with branded café barriers. 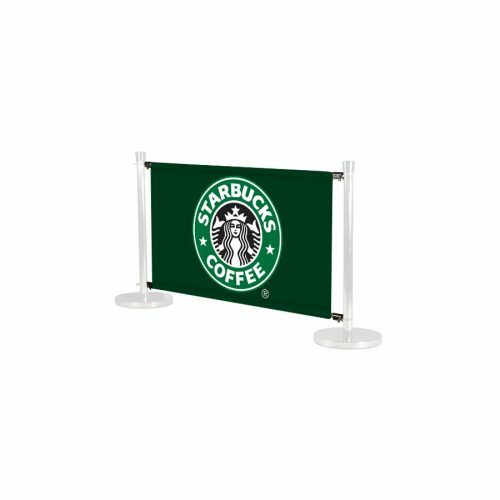 Perfect for outdoor brand promotion and creating a designated seating area. 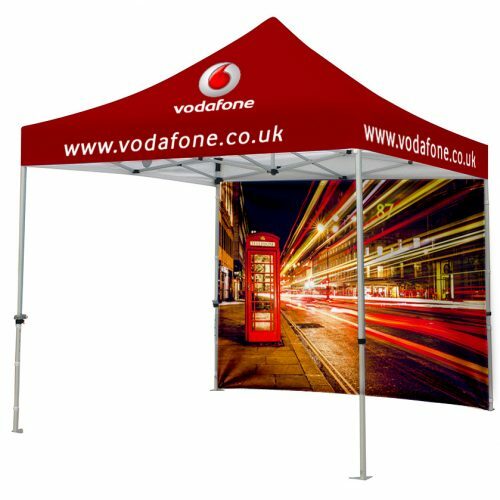 Make a statement with a branded gazebo that will get people talking and recognising your brand. 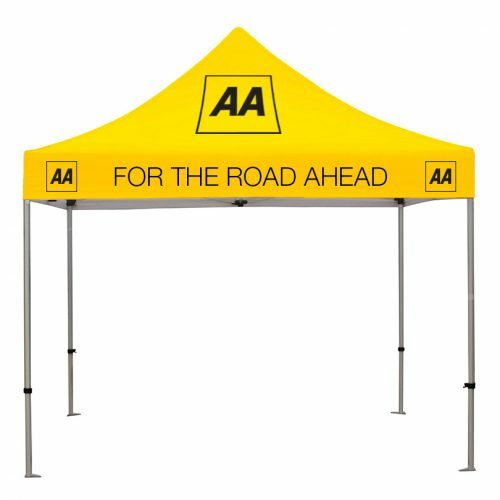 Perfect for sporting events, outdoor exhibitions, country shows and festivals, printed gazebos are impressively adaptable and extremely easy to assemble. 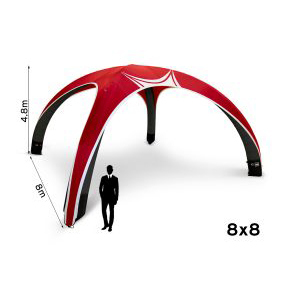 Branded gazebos give you 360-degree promotion as well as shelter from adverse weather conditions. There’s no hassle and tools are not needed as our gazebos utilise a pop-up frame for ultimate ease and efficiency. The frame is lightweight and folds down neatly for easy storage and transportation. 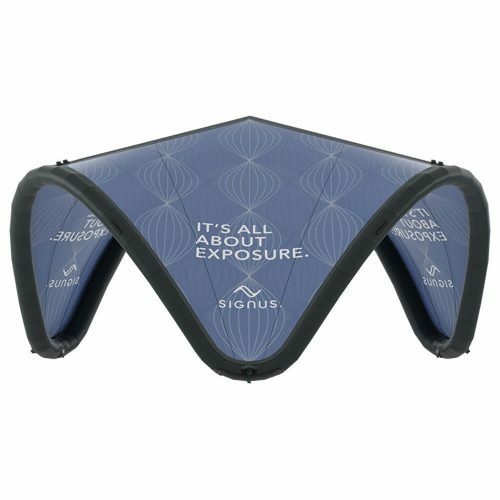 The fabric sides can be folded without risk of damage, creating a long-lasting investment for your brand. Create the gazebo your brand needs by adding half or full walls, a back wall or a canopy. 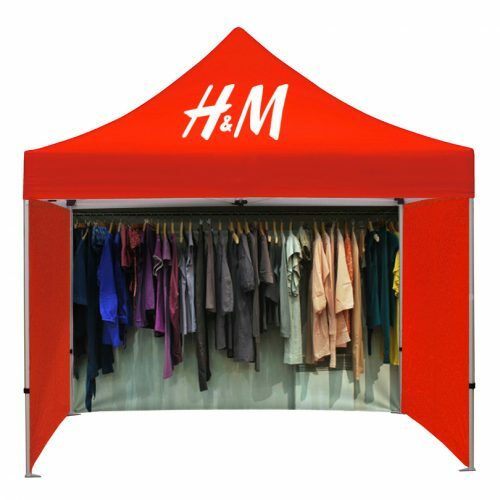 Printed gazebos are a cost-effective solution to large format exhibitions and can be used outdoors and indoors if you have enough space. 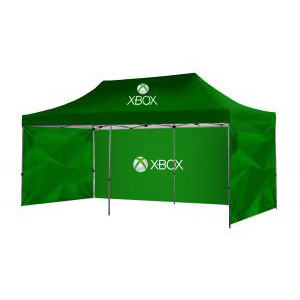 Gazebos are fully brandable, meaning you can give your brand enhanced exposure with minimal effort. 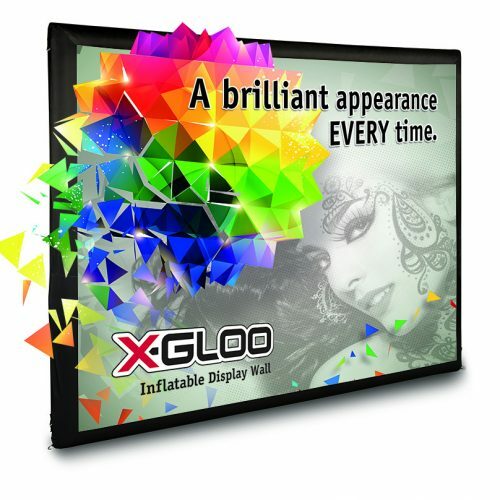 At XL Displays, we use polyester tent fabric that is fully waterproof, giving you extra peace of mind about your purchase in adverse weather. 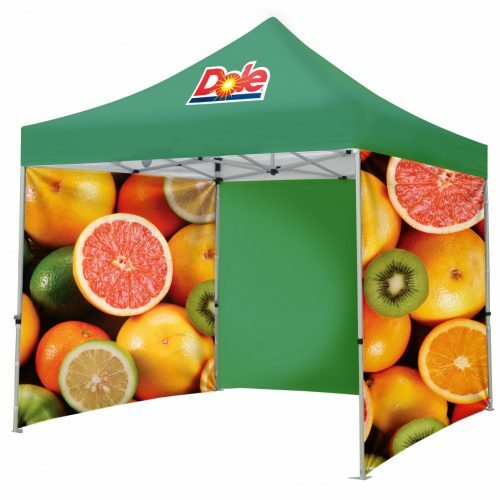 All of the graphics are tear, peel and crack resistant, making printed gazebos ideal for several uses at various events. 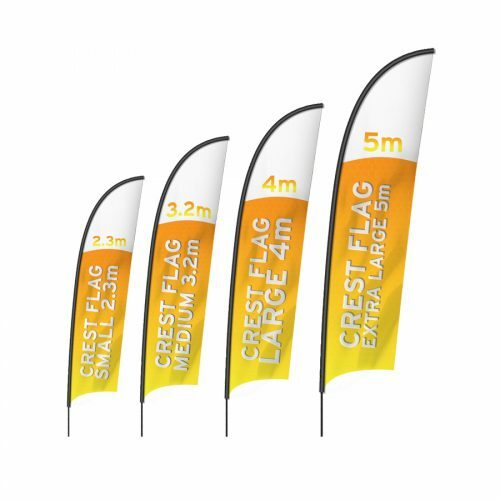 Branded flags are perfect for a wide range of events and exhibitions, including festivals, country fairs, trade shows and more. Our simple three-step ordering process allows you to select a flag and base solution that is perfect for your marketing event. 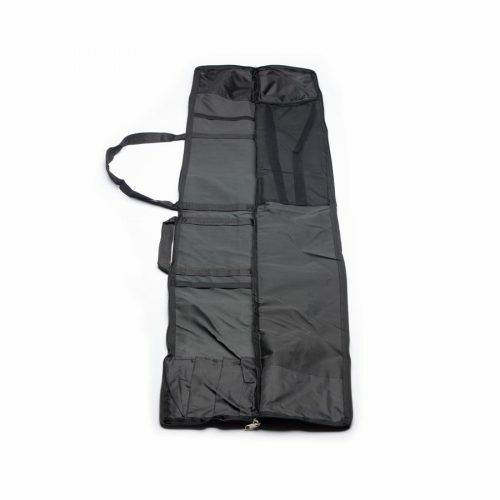 We include a free carry bag with every flag and base kit for easy storage and transportation as standard. Suitable for both indoor and outdoor events, our printed flags are fully weather resistant and can be used on almost any terrain. 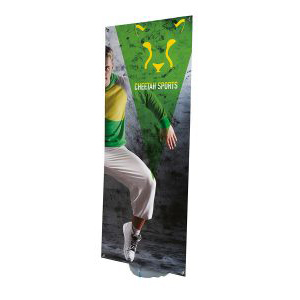 Our promotional flags come in three shapes and a variety of sizes to suit any exhibition space. 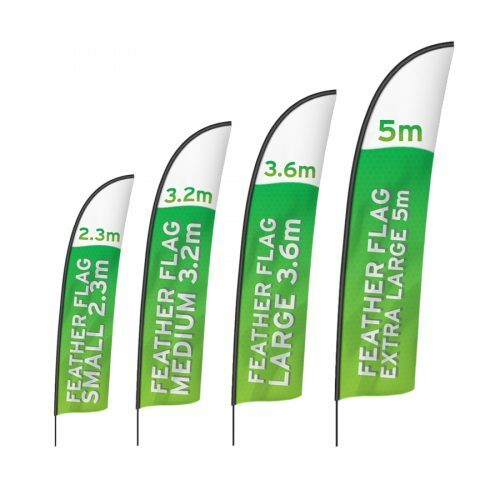 We supply feather flags, tear-drop flags and sail flags, along with double sided flags that ensure 360-degree brand promotion with minimal effort. 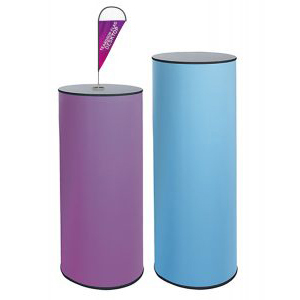 They are great accents for larger outdoor exhibitions and look good alongside branded gazebos or inflatable structures. They also work well on their own. Printed in full colour to secure maximum impact, the dye-sublimation printing process provides longer lasting, more vibrant graphics that won’t crack, peel or fade. The dye-sub process also means that you can fold your graphics and wash them without risk of them being damaged. 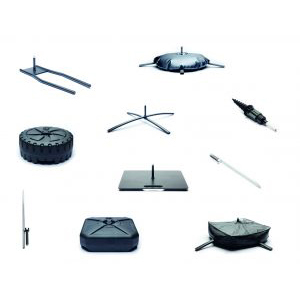 Choose from any one of our eight flag bases and pay the same great price as standard. 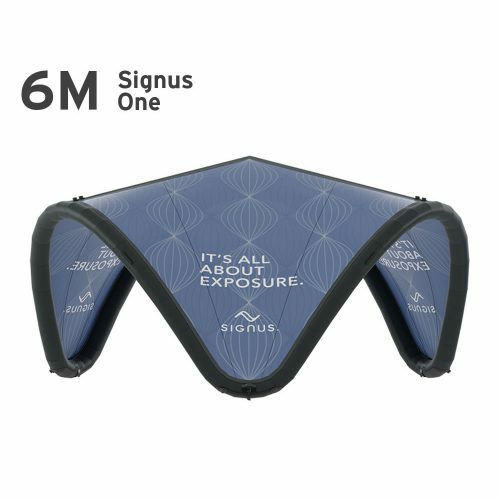 The Signus Inflatable Event Tent uses innovative Dutch engineering for a unique design that will enhance your brand presence and really make your business stand out from the crowd. 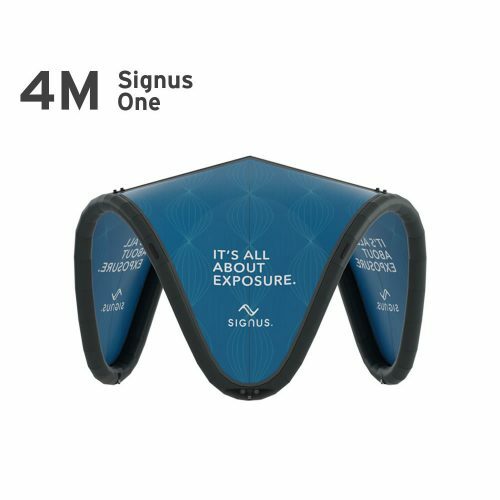 Signus tents appear round from above, but on ground level offer exceptional space for marketing your brand through three open sides. 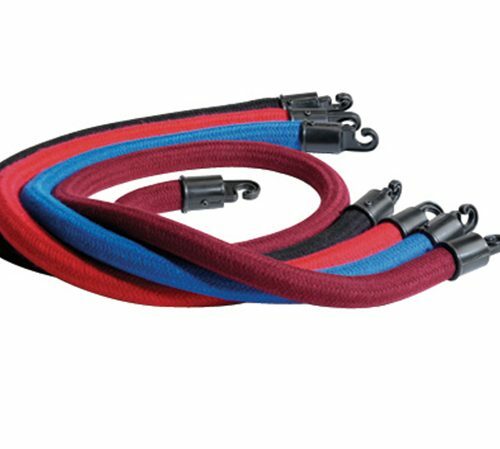 The Signus is comprised of three sections which are secured using YKK zips. The advantageous element of this that puts Signus ahead of other event tents is that every section can be customised differently. It takes just 15 minutes to set up a Signus and it can be done easily by a single person. 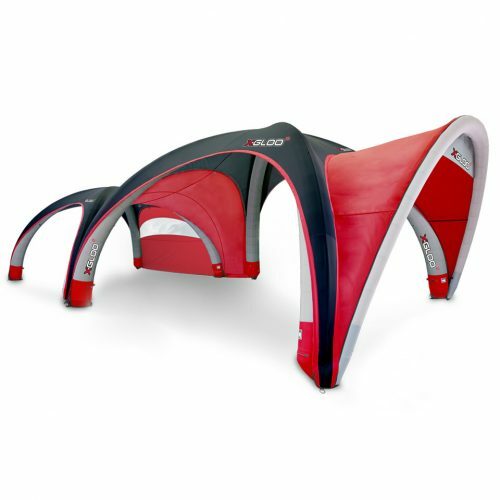 There are three sizes available: 4m, 5m and 6m, meaning there is a Signus to suit any event space. Signus works especially well at festivals because of its modern and large format design, but it’s fit for purpose at any outdoor event. 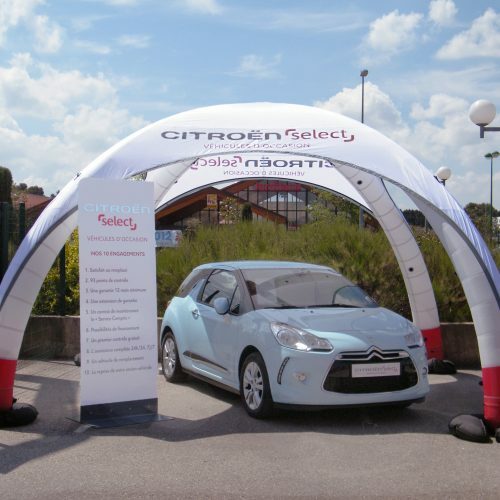 Signus tents are exceptionally easy to store and transport and will fit in most cars. The frame is inflatable and the graphics simply zip on. The frame can be inflated by either a hand or electric pump. 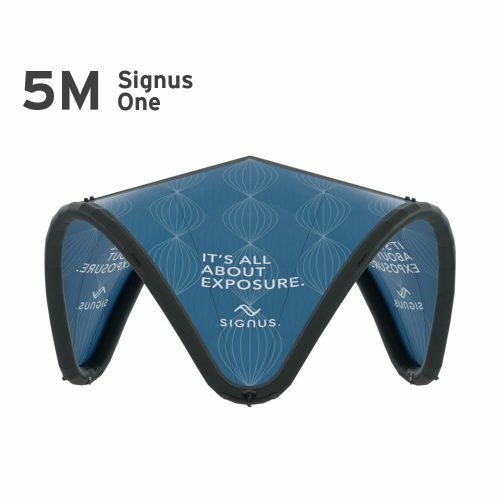 The Signus inflatable even tent is water-repellent and fire retardant, giving you extra peace of mind about your investment. 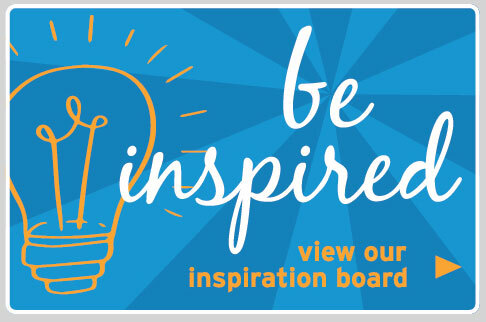 A cost-effective promotional solution, pavement signs have been a marketing best-seller for many years. 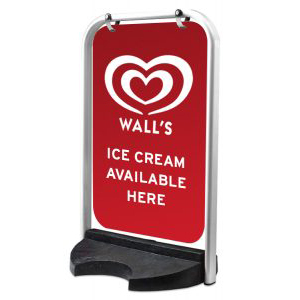 Available with or without printed graphics, outdoor sign boards are big on impact but small on cost. 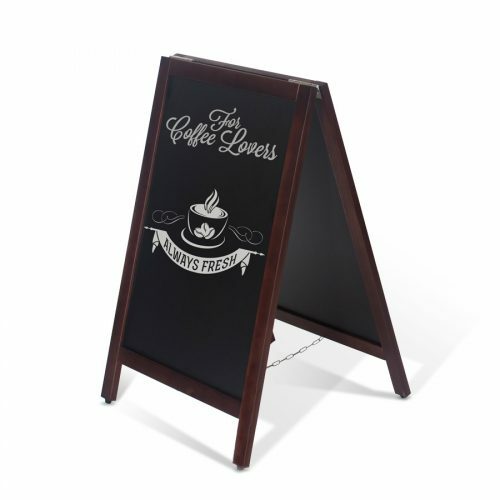 Pavement signs are ideal for cafes, shops and a multitude of other businesses because of their flexibility and longevity. They offer instant brand awareness because of the fact they are placed directly in the line of sight of bustling crowds. 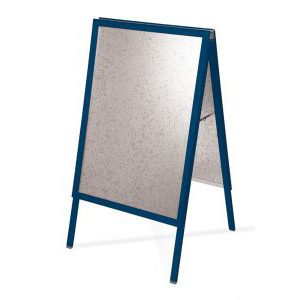 Pavement signs are frequently used for sales promotions, outdoor menus, public notices and simple company branding. 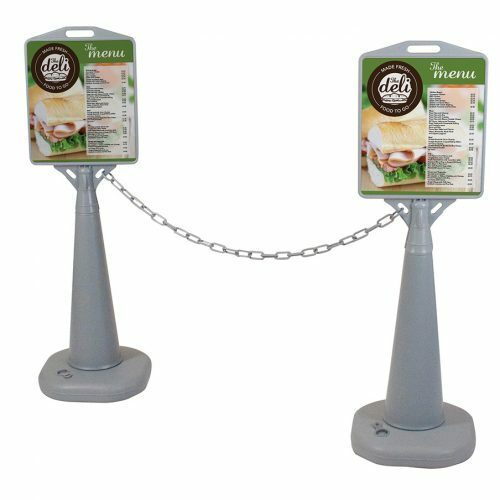 They can also be used to control footfall and provide direction for potential clients in a busy area. If you want a classic but modern alternative, chalkboards are a good choice. 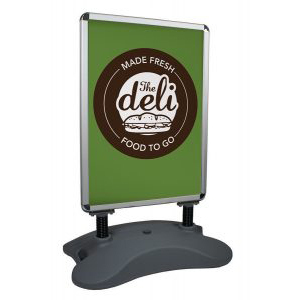 The promotional possibilities are endless with chalkboards because of how easily you can change the display. XL Displays supply four liquid chalks with all chalkboards so that you’re ready to go as soon as your board arrives. Chalkboards work well for restaurants and bars and businesses where menus or promotions are frequently changed and updated. 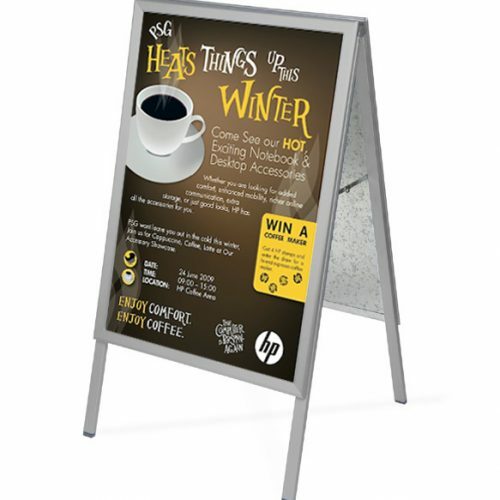 Pavement signs come in a host of sizes, from A0 to A2, and some offer you the option to have a branded header or a coloured frame. 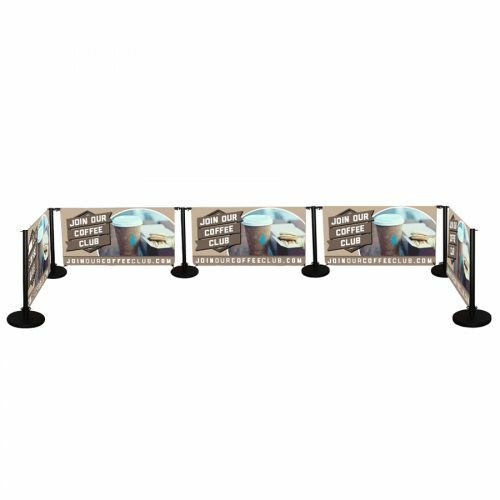 Control customer footfall and keep clients in line by implementing one of XL Displays’ queue barriers. 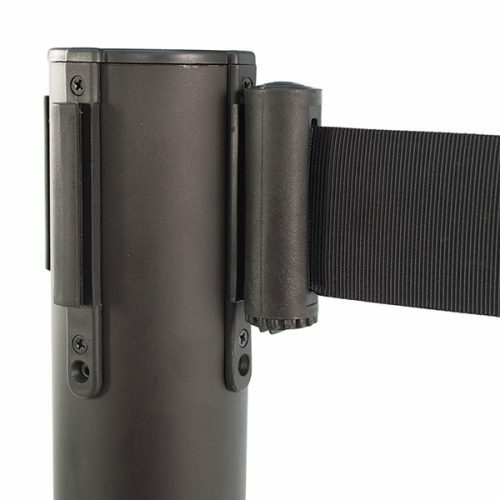 The barrier is available in two styles: retractable or rope and post. 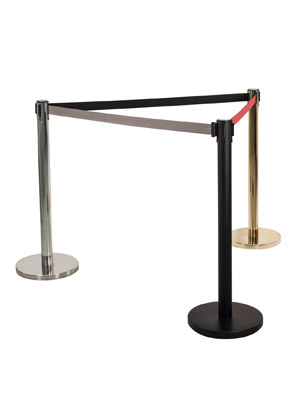 The retractable Stanchion barrier is our best value queue control system and features a pole, a base and a retractable belt. The rope and post option is available in two varieties: standard or exhibition. Standard rope and post barriers feature a vivid velvet rope with three colour choices, whereas the exhibition system adds a little more luxury with its woven ropes available in two lengths and four colours. 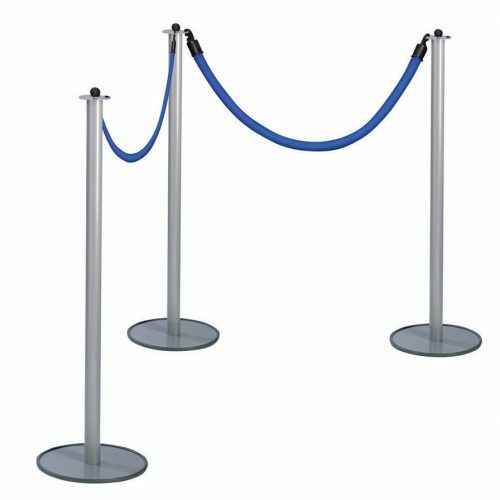 Queue barriers are suited to a multitude of purposes, including exhibitions, museums, tourist attractions, airports and entertainment venues. Businesses are nothing without organisation, so providing people with a sense of clarity and direction in busy venues with the help of a barrier will benefit you in the long term. 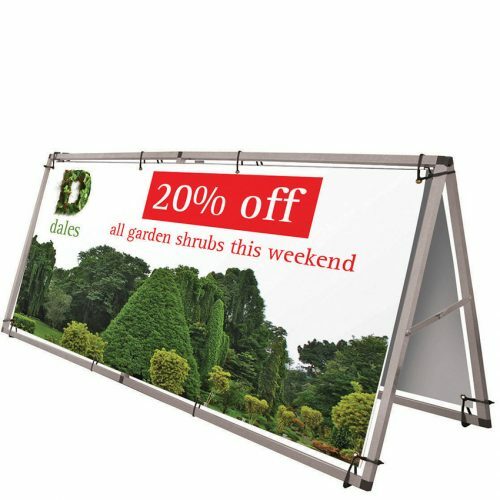 If you are taking your exhibition stand outside, we have a wide range of outdoor banners specifically designed to withstand whatever nature may throw at you. Outdoor event marketing can be tricky to get right. Outdoor roller banners offer your brand a stable promotional backdrop with UV resistant and weather resistant graphics. They take just minutes to assemble and require no special training. This means you can focus on your customers faster. 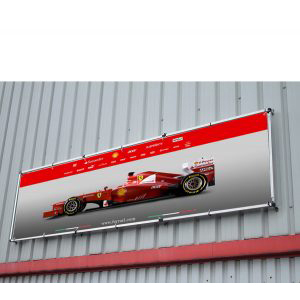 The simple design of outdoor banners enables you to showcase your brand and attract the desired attention. Outdoor banners are printed in full colour to ensure exceptional detail for effective outdoor marketing. They take up minimal floor space and are easy to store and transport. 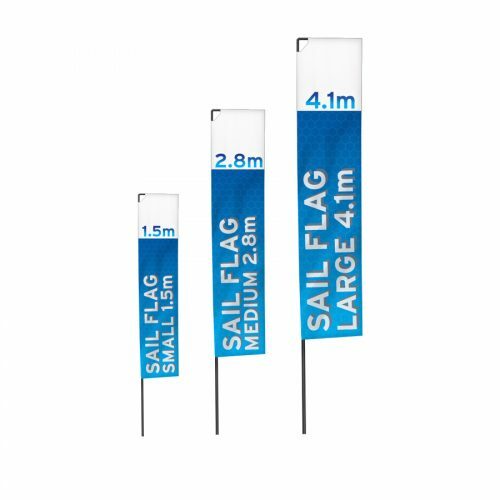 Outdoor retractable banners can be weighted down using pegs, sand or water, which enables them to withstand wind speeds up to 18-24 mph/29-38kph, and up to Beaufort scale 2 (4-7 mph/6-11 kph). They can be used alone or as part of a larger display. 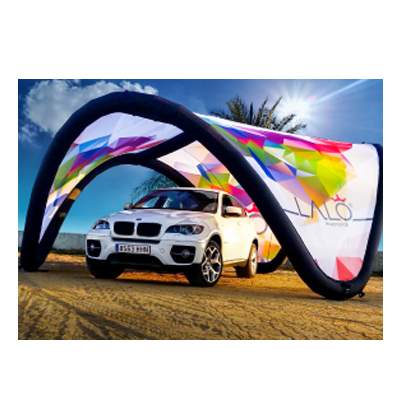 They are perfect for events such as fairs, sporting events, competitions, product launches, trade shows and more. Weather-proof, scratch-resistant and specifically designed for outdoor use, our outdoor banner range offers flexible brand promotion that won’t let you down. 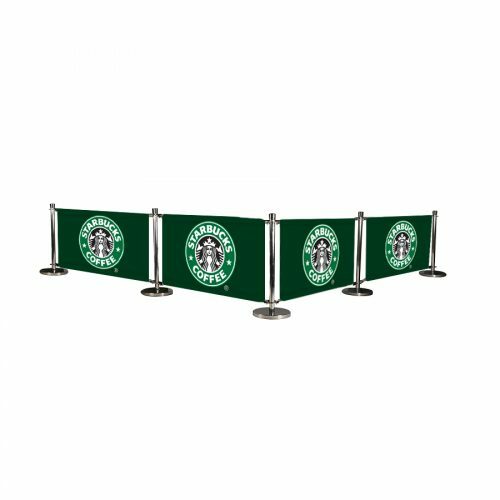 Make sure your business is prepared for the warmer weather by investing in café barriers. 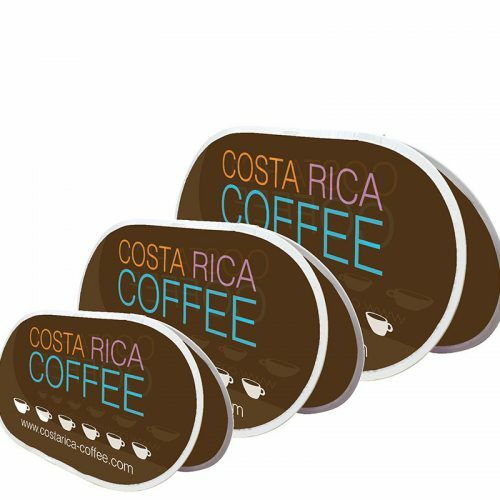 Ideal for cafés, restaurants, bars and nightclubs, café banners provide a partial windbreak and increase seating capacity, whilst getting your business noticed through subtle yet direct branding that extends further than your store. 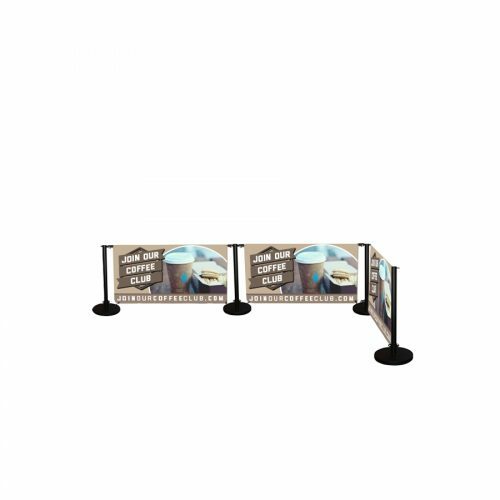 Whether you require extra seating for eating or a separate area for smokers to go, café barriers can do both because of their immense versatility and stability. Barriers take just minutes to assemble and pack down neatly for easy storage. 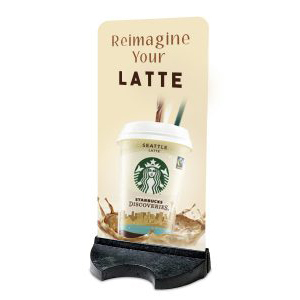 XL Displays sell outdoor barriers as single components with the posts and a base, enabling you to customise your banner to the space around you effortlessly. The extra branding is an easy way to further enhance your brand awareness without taking up too much room or too much effort. 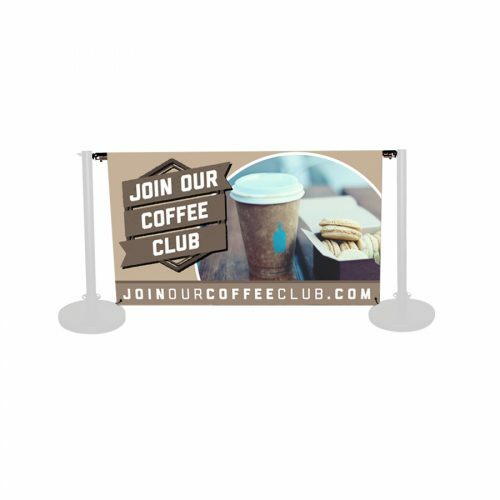 Kits are also available, and all barrier systems are printed on either PVC or fabric café banners. 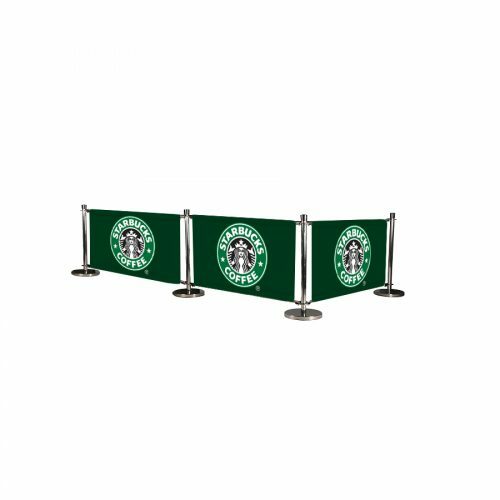 Barriers are timeless promotional solutions that utilise the most simplistic advertising concept and couple it with the basic need for seclusion and privacy. 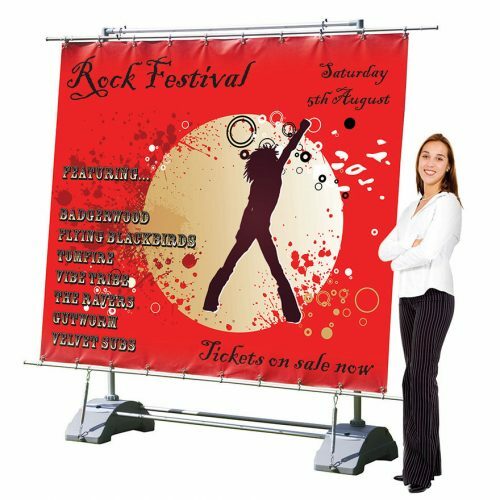 It would pay any business with outdoor space available to invest in a sturdy banner system for those warmer summer months.